The what? you say. I know, I can’t pronounce it either. The Massilliote Periplus was a Phoenician sailing manual or sea merchant’s handbook thought to date from c.600 BC. The word periplus comes from the ancient Greek for “circumnavigation.” Massilliot(e) derives from the Greek colony of Massalia, founded around the same time from which the manual comes. Unfortunately, the original book has been lost, but the good news is: in the fourth century AD, a Roman writer called Rufus Festus Avienus wrote a poem called Ora Maritima that draws information from the periplus. The poem’s title translates as The Maritime Shores or The Sea Coasts. Avienus was a native of Volsinii in Etruria, and according to an inscription his full name includes another name, Postumius, that precedes all the rest. In a few modern references, Rufus appears as Lucius instead, but this could simply be error. The periplus is important for its account of a sea voyage from the city of Massalia, which became the French city of Marseilles on the western Mediterranean. The manual describes the coast from Cadiz, Spain northward along the European Atlantic coast to Brittany, Ireland and Britain. The description is also the earliest known account of the sea trade route between southern Europe and the British Isles. Archaeology has corroborated these trade links. The original book’s full contents, having been lost, are only known through Avienus’s poeticized and confused work based on the original. Only one manuscript of the poem survives. Scholars tell us that Avienus was simply copying information from the earlier material and had not actually traveled the seacoasts that are identified in the manual—he wrote as if some the cities were still in existence but had actually been abandoned by the time he wrote his poem. He also relied on Roman itineraries to give distances, sometimes incorrectly. That he did not update the material to reflect his own time turns out to be a good thing—it preserves the historical information from the manual that would have otherwise been distorted or destroyed. For anyone involved in the history of the Celts, the periplus and the Ora Maritima are important because the periplus contained the first known recording of the Celts’ existence. In the poem, the Latin name “Celtarum” appears, meaning “Celts.” An English translation gives the following: “If anyone should dare to drive his ship into the waves from here at the Oestrymnic Island to where the air of Lycaon grows stiff, he enters the Ligurian land, empty of inhabitants. For because of a band of Celts and frequent battles, the fields have long been empty…”(1) Assuming this information was picked up directly from the manual, we are being told about a voyage from the extreme west of the Iberian peninsula (Spain) to the lands of the Ligurians who lived in northern Italy and southeastern France, and that the Celts had driven them out. There are also passages that name “Gallic soil,” a reference to Gaul, which is identified with Celtic lands before the Roman conquest. Additionally, Ireland, called the Holy Isle in this case, is mentioned and said to be inhabited by the race of Hierni—the Irish. The island of Albiones is also named. This is Britain. The important issue to note is that although the British Isles, Brittany, and the Celts have all been identified, the poem does not place the Celts in the British Isles. That doesn’t mean the periplus itself did or did not—this will never be known—but it does establish that trade routes between the islands and Celtic lands on the European continent existed as early as c.600 BC., the same time the Greeks were colonizing all over the Mediterranean, the Near East and the Black Sea regions. We do know some form of the Celts eventually ended up in the British Isles—attested from their languages, art and other material evidence that spread and absorbed the earlier Neolithic people already there. The question is: did they migrate because of the trade routes? Did they do so sometime later? Or were they already there by the time the Phoenicians came? (1) Avienus. Ora Maritima. Trans. by J.P. Murphy. Chicago: Ares Publishing, 1977. One aspect I’ve learned from this class that amazes me is how differently history was viewed in previous eras. To our knowledge, the Greeks were the first to write history. Yet these beginning works by Herodotus, Thucydides and a few others were not considered any more important than a low subcategory of philosophy. Most often, it was taught as literature, an example of how to write, or as rhetoric, not as the separate idea of history. According to one of the textbooks for the class, until Herodotus and his history-writing heirs gave a sense of the length of other civilizations compared to the Greeks’ civilization, people apparently had no concept of past vs. present or a sense for the dimension of time. The best known previously written works are the Iliad and the Odyssey, attributed to Homer and which touched on the Trojan War and its aftermath. Neither epic poem had any dates or allusions to events that could place the stories somewhere in time, though modern scholars place them in the Mycenaean period, perhaps in the twelfth century BC. If the textbook is correct in stating pre-Herodotan people had no sense of the progress of time, was their mindset so narrow that they never wondered what had come before them? What about their ancestry? Or who had built the crumbling buildings from hundreds of years earlier that were still visible in Athens? The textbook is silent on people who kept their history orally. It is also silent on cultures that were not of the so-called great civilizations. Why not at least acknowledge some, like the Celts, who existed concurrently to the Greeks? Their druid class memorized their ancestry, mythology and history so it could be recited accurately to the people to whom it belonged, generation after generation. In fact, to write it down was taboo. Many other tribal people across Europe before written history took hold embraced similar customs. Did they not have a sense of time? They certainly had a perception of their ancestry. Or is my own sense of history getting in the way of understanding this mindset? History, the written kind, has been subservient to many other disciplines since its inception: to philosophy in the classical period, theology during the middle ages, science, law, literature and art from the Renaissance to the nineteenth century. With each age it is reassessed and redefined. Finally, towards the end of the nineteenth century it became a discipline of its own and professionalized, although it ran through a profound number of additional readjustments called “schools.” So the next question is, in another hundred years, will it change again, needing another reassessment? And what will it look like? 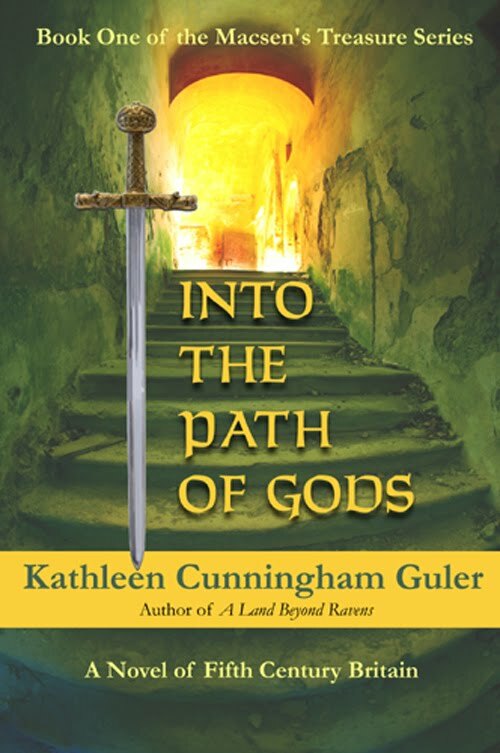 The recrafted edition of Into the Path of Gods, complete with its new cover, is now in paperback. As always, available on Amazon.com and wherever books are sold! In the process of researching my next book project, I’ve found myself steered into the ancient world of Eurasia, southeastern Europe and those two regions’ relationship to Greece, which was the reigning power at the time. I haven’t found my story yet, but I do know the time is the fourth century BC, perhaps slightly later, and at least one of my main characters will have been taken into slavery. Logically the first question I asked was, “what was the extent of slavery in this time and place?” In the search for answers, I began looking into the work of Sir Moses I. Finley (1912-1986), who was a long-time professor at Cambridge University and wrote several books on Ancient Greece. I was exceedingly pleased to discover a collection of his essays, several of which focused on slavery. While I found a lot of what I was initially looking for, I was also surprised to find that one of Finley’s gifts as a historian and writer was his ability to intuit the mindset of the ancient world. First off, slavery in ancient Greece was absolutely all-pervasive. At all times and in all places, compulsory, dependent labor was used to meet the Greek world’s needs. It was so normal, so taken for granted that few, if any, questioned its existence. The ethics of it were not questioned either, nothing like in later times, nothing like we would now. Agriculture formed the main economy. The owner of a small farm worked his holding alone or with his family members if he had any. If he could afford one, he bought a slave, usually just one, sometimes a few. Like these farms, small mining concessions, shops and manufacturing operations could be worked alone as well and any additional labor was usually a slave. A free man might also own one slave to run his household, attend him in town or when he did military service. Unfortunately, no reliable figures have been left behind to say how many slaves were used in smallholdings like these. Large landholders, in contrast, were usually absentee, lived in town and owned many slaves to work the land. Likewise, large mining operations in Greece and neighboring Thrace had large slaveholdings. It is estimated there may have been 30,000 slaves in Athens’ silver mines and processing mills at one time. That’s just Athens. One of the most surprising aspects is that not all slaves were assigned to pure drudgery even though, of course, many, perhaps most, were. One ancient writer says the life of slaves consisted of three things: “work, punishment and food.” But slaves were actually in every part of life except political office. Finley says, “The efficient, skilled, reliable slave could look forward to managerial status. In the cities…he could often achieve a curious sort of quasi-independence, living and working on his own, paying a kind of rental to his owner, and accumulating earnings with which, ultimately, to purchase his freedom.” Records also show that archers from Scythia made up the Athenian police force, but they were state-owned slaves. Value, in Greek thinking, was in status, not in the nature of the work. According to Aristotle, “The condition of the free man is that he does not live for the benefit or profit of another.” In other words, those who work for another were rare because that would not raise their status. Likely, a free man, even if he could not truly afford one, often bought a slave to raise that all-important status. One more note on how deeply rooted slavery was in ancient Greece: the Greek language had many words for ‘slave.’ Compared to modern English, Greek’s many fine nuances demonstrate the complexity of the slave system and how it was interwoven in society. In addition, meanings changed from one place to the next and from one time to the next. The character I have envisioned for my story is a Celt who had dealings of some sort in the Balkan region or the Pontic steppe and ended up being taken as a slave. The Thracians of the Balkans likely had a similar mindset like the Greeks regarding slavery. The Celts, however, appear to have had a deeply imbedded sense of freedom that was reflected in their lifestyle, art and mythology. Imagine how this character must react to the very different attitude of the Greeks and Thracians. I’m heading out on a new journey! No, not a vacation—I wish! Having finished my fifth century Arthurian series, I am in search of a new adventure to write about. Many historical novelists take up a new story related to others they have already written. For example, say an author has written a novel about Eleanor of Aquitaine. Since the research done for the Eleanor book would also touch on many of the queen’s relations, alliances and enemies, an author is very likely to choose one of those folks as the subject of the next book. Makes sense—it shortens the time needed for additional research and the author already has more than a good sense of the time and place. In writing the Macsen’s Treasure Series I discovered a lifelong love of Celtic history, especially as my ancestry hearkens from Wales and Scotland, so most of what I write has some connection to Celtic heritage. Research for the series also put me in contact with many of the theories that swirl around the idea that the legendary King Arthur may have been based on some other historical figure’s exploits and the stories raised his status to something out of proportion from reality. One of those theories claims that Arthur was actually a Roman military commander in the second century AD assigned to a post in northern Britain, and that he and the men he led may have originally come from the Eurasian steppes. Allegedly, the folklore of these Eurasian men created the essence of Arthur’s legend—including the grail story, the round table and so on. The Scythians, indeed, are an intriguing bunch. In the last few centuries BCE, around the fourth and third centuries BCE, they moved westward into eastern Europe, particularly in to the Hungarian plain, Transylvania and the Balkans. A few of their artifacts have been found even farther west in Germany. During this time, the Celts expanded eastward into the Balkans, the Danube basin and even beyond with some settlements established in the Scythians’ main homeland of the steppes north of the Black Sea. Here comes the most exciting part. 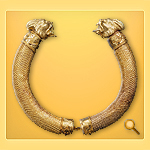 Both the Celts and the Scythians are known for their artwork, the Scythians primarily for their fabulous gold decorative pieces that adorned both themselves and their horses’ trappings. In particular, animal figures were most prominent. The art that the Celts began to produce during this period, called La Tène, indeed not only incorporated similar figures, but animal figures that very closely resembled those of the Scythians. Having studied art, this thoroughly captured my attention. Certainly there is a story to be discovered here. While the contact between Scythians and Celts is well established, as I go forward with research, I plan to take this a few steps further and dig into how this influence was transmitted. I have already discovered that itinerant goldsmiths moved about in this region. There was also a tremendous slave trade, as well as the ever present and inevitable war and quite a number of other possibilities. The more I research, the more ideas come to me for characters and plot. What a fascinating time and place on which to hang a new story! In 2007, I posted two blog articles about the twelve battles King Arthur allegedly fought and led to his consolidation of power. They are listed in the ninth century document, The History of the Britons (Historia Brittonum), attributed to a monk called Nennius. I offered my conjecture on the location of the first battle, on the mouth of the river Glein, and the sixth battle, on the river Bassas. (See the articles: Part 1 and Part 2.) Since posting the articles, I’ve been intent on completing both my fourth book, A Land Beyond Ravens, and the overhaul of my first book, Into the Path of Gods. I got away from looking any further into the battle list as none of them pertained to either story. Nennius tells us that the second, third, fourth and fifth battles all allegedly took place “on another river, which is called Dubglas and is in the Linnius region.” Like most of the other locations, historians have never figured out where the river Dubglas is. The only river in Britain with a similar name is in Scotland and called the Douglas. Linnius, however, is usually considered to be either the area in the east around Lincoln or, alternatively, Lindinis, the Roman name for the town of Ilchester in Somerset. However, no rivers with names similar to Dubglas exist in either region. But … one of those odd things that happens in research came out of the blue. During the re-edit of my book, I needed a little more information about the place in which the fifth century high king Vortigern allegedly met his end. According to legend, Vortigern was trapped in a stronghold called Little Doward and burnt alive when Ambrosius, his successor, chased him there in his successful quest to take the high kingship. Well, there’s a plausible older name for Doward—Dougarth. The enclosures mentioned probably would have been dark age hill forts. Wonderful! The reference to Dowlais possibly meaning “two streams” and probably equaling “Douglas” stopped me in my tracks and left me speechless. Then I got excited. Dowlais is a village in Merthyr Tydfil, Glamorgan, southeastern Wales. As noted in Part 1 of my earlier notes, the frontier in the fifth century between British territory and the westward-encroaching Saxon territory, as suggested by historian Christopher Gidlow , may have been roughly where Wales now borders the English counties of Shropshire and Cheshire. Gidlow proposes that some of the battles could have taken place along or near this vague line. Dowlais is not that far from the line or from where I theoretically placed the sixth battle of Bassas. In addition, Dowlish Wake, also noted in the entry, presents another possibility. Guess where it is? Near Ilminster, which is near Ilchester. Lindinis, the other possible location of Linnius. Could either of these possibly be the location of the four battles on the river Dubglas? Perhaps. This is still simply conjecture as there is no proof. I’m curious as to why the Arthurian community of scholars has not picked up on these clues. Perhaps the notion has been considered but ended up dismissed out of hand so quickly that no one has ever presented the theory. Perhaps I simply have a different way of looking at place names or just had a moment of plain old luck to have discovered two possible connections. Maybe I have no idea what I’m talking about. And now…am I bold enough to stick my neck out and let the Arthurian historians get a whiff of this idea? They are excellent at hacking theories all to pieces. Or should I quietly approach one—like Christopher Gidlow—and ask what he thinks while I hope he won’t ignore or scoff at me? Regardless, the discovery sure sent the chills rippling. To know if it holds any water with other Arthurian enthusiasts would be even more exciting! Johnson, James. Place Names of England and Wales. London: Bracken Books, 1994. Gidlow, Christopher. The Reign of Arthur: From History to Legend. Stroud, Gloucestershire: Sutton Publishing, 2004. Great news! The entire Macsen's Treasure Series is now available in most ebook formats!